lot has happened in the tech industry this week, from a new mbile app launched by Prime Minister Narendra Modi to the launch of new headphones. Read the full article for the top tech news of the week. Prime Minister Narendra Modi has launched a new mobile app — UMANG (Unified Mobile Application for New-age Governance) which will allow citizens to access government services on a single platform. The app was slated to be released in December last year. The services on the app include Aadhaar, DigiLocker, Bharat Bill Payment System (BBPS) among others. More than 162 services from 33 departments and four states are already live on it. The app is available on Android, iOS and Windows phones. 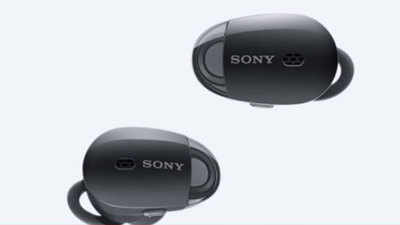 Japanese electronics giant Sony has expanded its noise cancellation headphones lineup in India with the launch of four new models: WI-1000X, WH-1000XM2, WF-1000X and WH-H900N. The WH-1000XM2 and WH-H900N will be available at Rs 18,990 and Rs 29,990, respectively starting December 14. Whereas, the WF-1000X and WI-1000X are priced at Rs 14,990 and Rs 21,990 and will be available starting today. All the headphones will be available across all Sony Centers and major electronic stores in India. HMD -Global, the company who holds the license of manufacturing Nokia branded smartphones has announced the price and availability of Nokia 2smartphone in India. Customers can purchase the Nokia 2 at Rs 6,999 from all the leading retail stores. The Nokia 2 comes with a 5-inch HD display with 720×1280 pixel resolution. The device runs Android 7.0 Nougat and will also receive an Android 8.0 Oreo update. The smartphone is powered by a quad-core Qualcomm Snapdragon 212 processor paired with 1GB of RAM. The device offers 8GB internal storage which can be expanded up to 128GB by inserting a microSD card. The device sports an 8MP rear camera with autofocus and LED flash and 5MP front camera with fixed focus. Nokia 2 houses a 4,100 mAh battery, which the company claims can last up to 2 days in a single charge. American technology company Garmin has launched its latest wearable device in India. Unveiled at IFA 2017 in Berlin, the company has now launched the Garmin vivoactive 3 at Rs 24,990. The Garmin vivoactive 3 comes equipped with Garmin Pay, a wireless payment platform of the company. The service is compatible with credit and debit cards from MasterCard. The smartwatch features a 1.2-inch display with 240×240 pixel resolution. The company also claims that the device is water resistant with up to 5 ATM level. The smartwatch promises to run for up to 13 hours on GPS mode and up to 7 days on the smartwatch mode. It is also capable of recording 7 timed activities and 14 days of activity tracking. Along with this, the wearable can also track the sleep, steps and overall health of the user. It is compatible with both Android and iOS smartphones. HP has expanded its gaming laptop product portfolio with the launch of Omen 15 and Omen 17. The company claims that the new devices are designed for e-sports athletes and competitive gamers. The laptops come with 10 Series GTX graphics from Nvidia and high-resolution displays with optional G-Sync technology for fast refresh rates. The HP Omen 15 comprises of the CE070TX, CE071TX, CE072TX, CE073TX, and CE074TX models. The laptops run Windows 10 operating system and is powered by seventh-generation Intel Core i5 processor. It offers 8GB of DDR4 RAM and 1TB Serial ATA HDD with Nvidia GeForce GTX 1050. The high-end version of the series is powered by seventh-generation Intel Core i7 processor paired with 16GB of RAM and 1TB HDD and the same Nvidia GeForce GTX 1060 graphics. On the other hand, the company has introduced two models under the Omen 17 series — AN009TX and AN010 TX. The devices boast of a 17.3-inch LED backlit display with full HD resolution. The laptops are powered by seventh-generation Intel Core i7 coupled with 16GB of DDR4 RAM and 1TB of Serial ATA HDD with Nvidia GeForce GTX 1070 graphics.